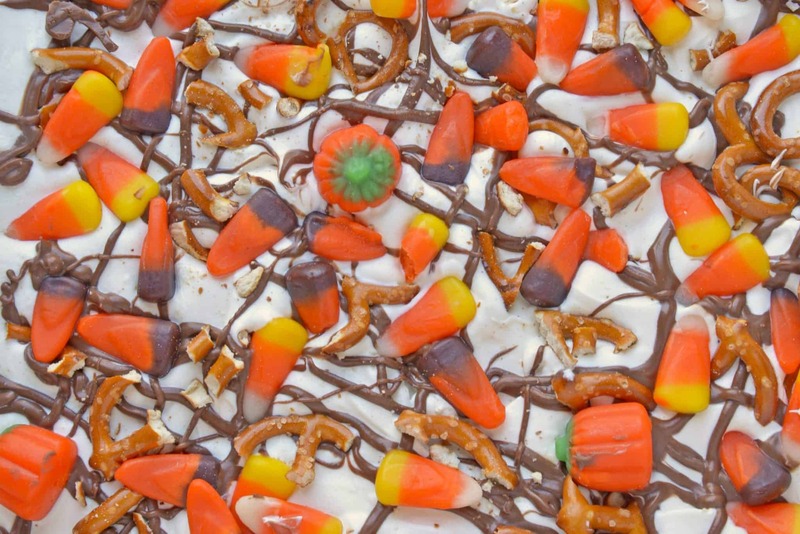 Halloween Bark is the easiest of Halloween dessert ideas. No baking required and a minimal amount of hands-on time, what isn’t there to like? 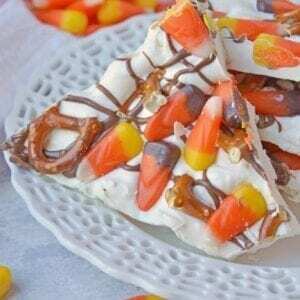 Halloween Bark is a sweet and salty bark. 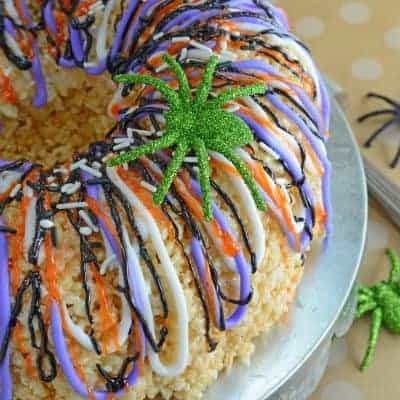 The easiest no bake, make ahead and in large quantities Halloween dessert out there! Truth be told, I’m not a Halloween person. It just isn’t my thing. When I was younger, sure. In elementary school I lived in Colorado. My mother was the queen of creative, homemade Halloween costumes. The key living there was that your costume needed to fit or incorporate a snowsuit as well. Through the years my excitement about Halloween has faded. I don’t decorate past a pumpkin on the front step. Every once and awhile we will get crazy and actually carve the pumpkin. And I am certianly not into the ghouls, ghosts and goblins of Halloween. While my sister is hosting an Exorcism dinner party tonight, I’m over here looking to find the cutest costume for my new daughter. Blood, guts and gore is not my bag. 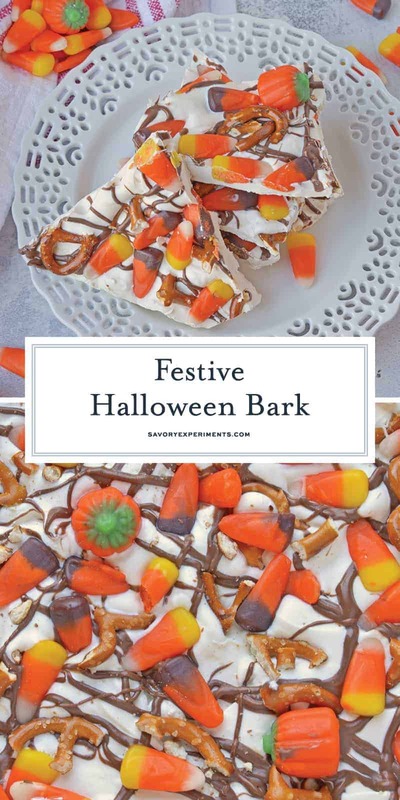 Halloween Bark, however, is! Bark is good for any holiday. I’ve never quite understood why people reserve it for Christmas. 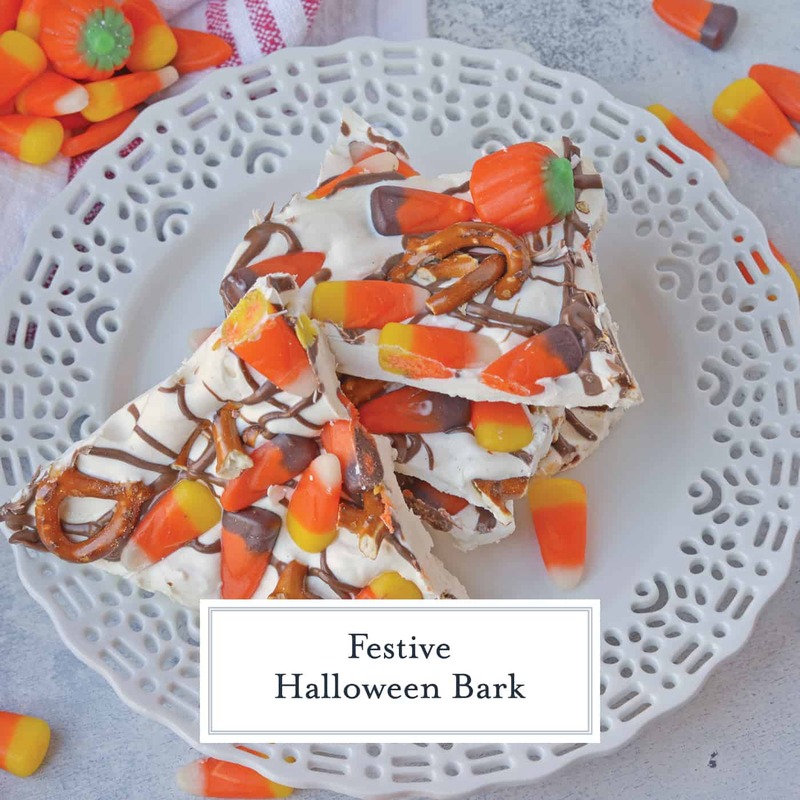 Easy and no bake with a vast array of options for toppings, bark is perfect for using up bits and pieces of leftover candy, dried fruit and nuts. For Halloween Bark, any bark really, I like sweet and salty. 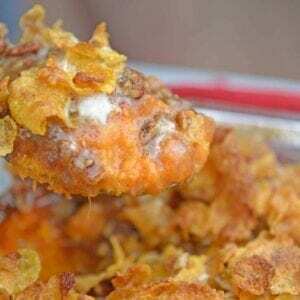 Pretzels provide the crunch and the salty flavor I am looking for. Harvest Mix candy corn is something I look forward to all year. 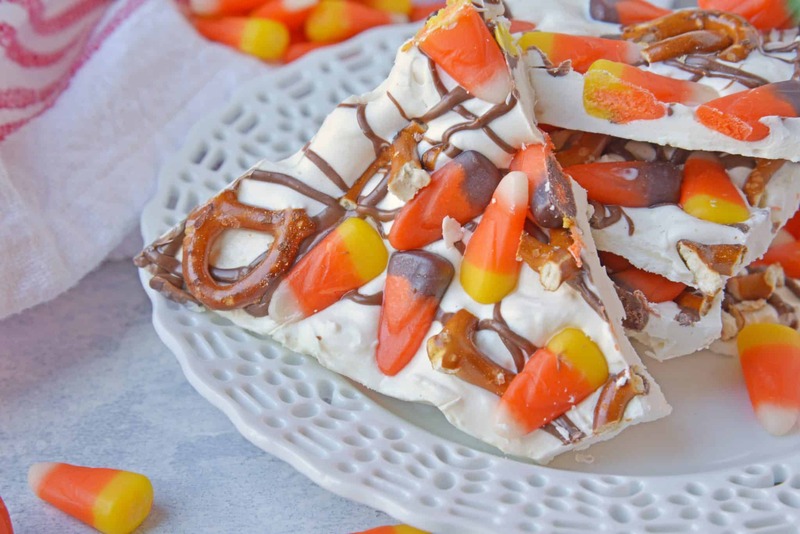 Really, I like the mellowcreme pumpkins, but the mix with different colors and flavors works best for festive Halloween Bark. 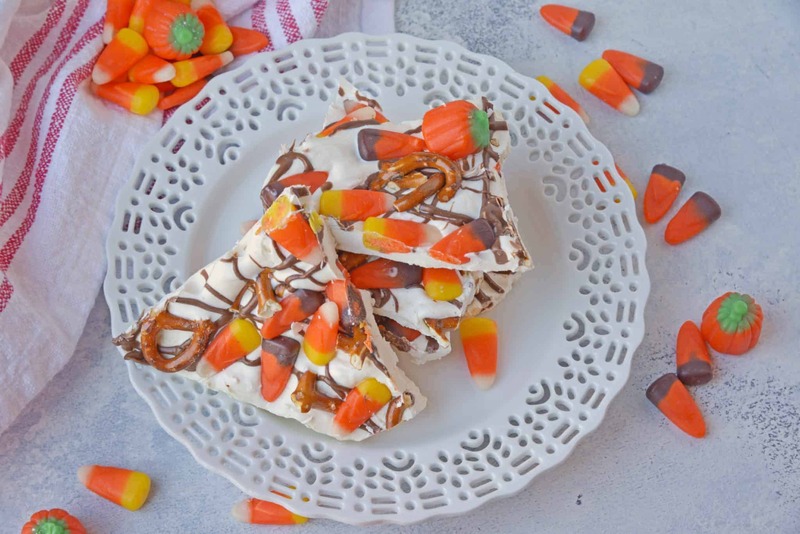 In just 10 minutes I have Halloween Bark! 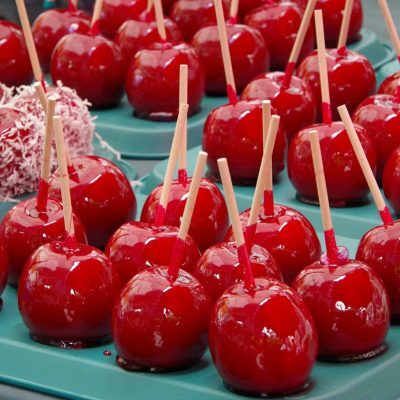 Perfect for packing Halloween goodie bags, serving at Halloween parties or munching on at home. – Always be guaranteed the perfect consistency and a smooth melting chocolate. – The best way to spread melted chocolate and frosting! 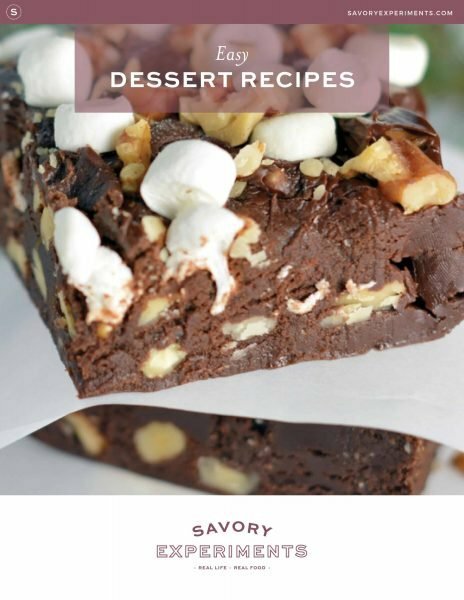 – A kitchen essential, use a double boiler to make velvety melted chocolate, superb sauces and more! 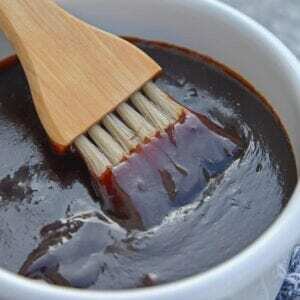 – I keep these around for the perfect chocolate drizzle, to artistically plate sauces and for tiny details on baked goods. 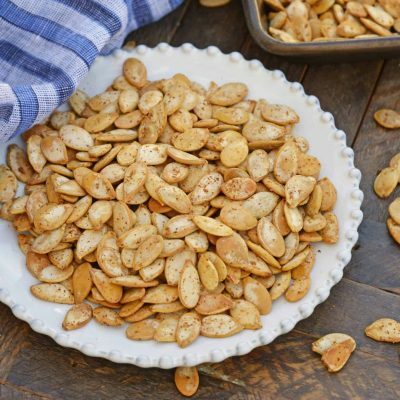 If you like this easy Halloween treat, you’ll also love these! Use either a double boiler or saucepan with heat proof bowl. Fill bottom pan with 2 inches of water and place over medium-high heat. While heating, place white candy melts (or shortening and white chocolate chips) in the top pan and place over water pan. Stir every minute. Spread chocolate over parchment paper using an offset spatula. 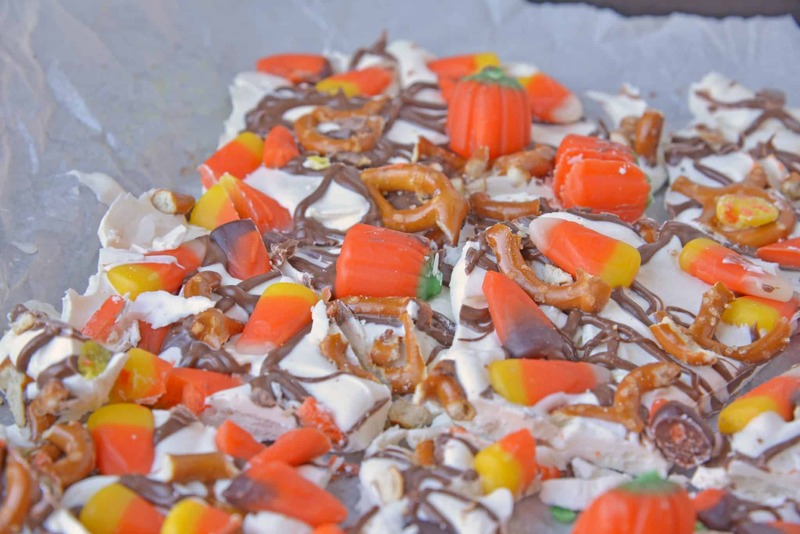 Quickly top with Harvest Mix candy corn and broken pretzels, gently pressing down into chocolate to secure. Melt milk chocolate in a plastic bag or plastic pastry bag, drizzle on top. 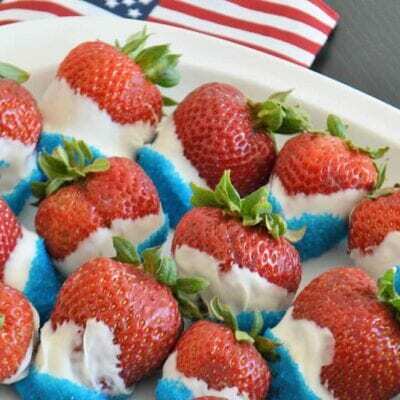 Place in the refrigerator for 5-10 minutes, or until set. Remove and roughly cut with a large knife. Do not worry about cutting in nice clean squares, bark is best in rough, uneven pieces. I love how colourful this recipe is!